Unai Emery has told Alex Iwobi he can keep improving if he keeps his cool. 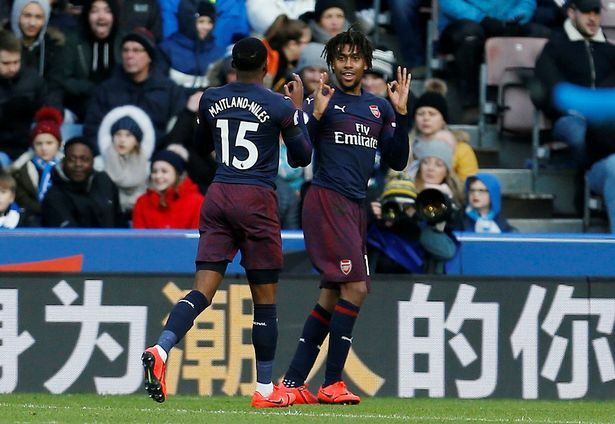 Iwobi volleyed home to open the scoring for Arsenal against Huddersfield with his fourth goal of the season and the Nigerian forward also has six assists. 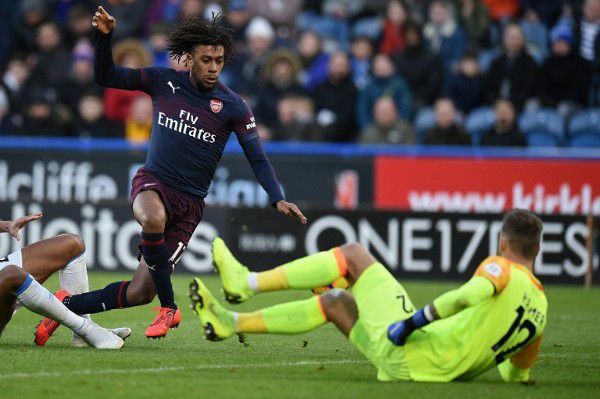 Emery is delighted with Iwobi’s progress and feels that at 22 he can only get better. He claims he needs to stay clam to improve his decision making in the final third because he failed to capitalise on some other good opportunities. “He’s young,” said the Gunners boss. “He has a big commitment. He has a very good physical condition. “He needs to improve, tactically maybe also, some things. Above all he needs to be calm with the ball in the attacking third to have more assists and create more possibilities to score, to know when to shoot and when to dribble. “Today he scored and he had another very good chance. Arsenal were 2-1 winners in Yorkshire and Emery insists his side remain a work in progress. “In football you can win, you can lose, you can draw,” he said. “The most important thing is in the head. You are thinking to create, little by little, one team feeling and spirit. 我地呢十幾年既翼鋒, 全部都係腦部以下世界级!!! 先有禾哥, 後有帥哥謝雲奴同100分, 而家到燒鵝脾.... 好懐念以前奥華馬斯, 龍格堡同皮里斯呢D级數!!!! 我地只有燒鵝脾同蘇阿雷斯2隻翼, 冇得簡 雖然我認同隻脾個腦係好過禾哥同100分, 但上場佢做D決定又全部錯哂, 呢隻脾時好時壞, 好難估!! !